2x 16.5m Kota grill huts connected with an extension through the middle. One hut has a BBQ, Chimney and seating, the other Kota is open plan. Felt shingle and double glazing included as standard. 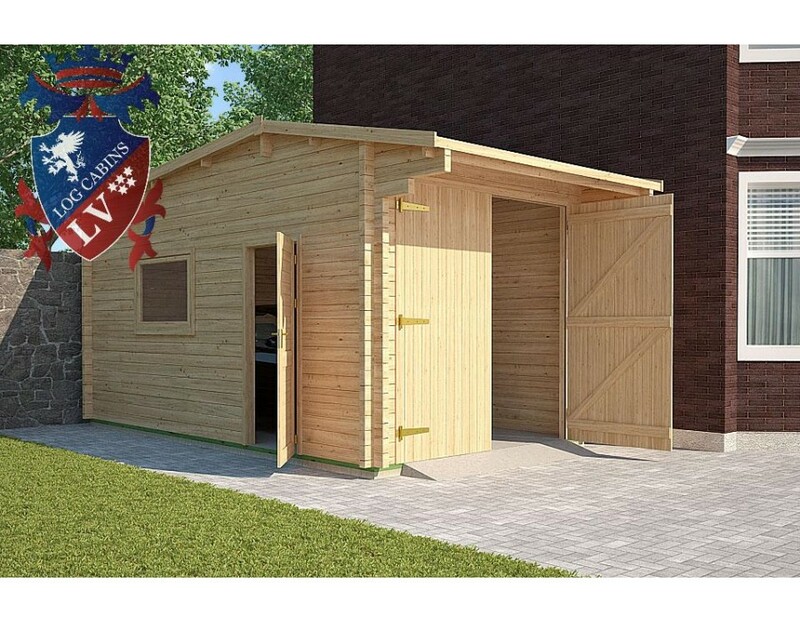 If youre looking for versatile place for barbecue with a relaxation feel, a wonderful Grill Cabin 16.5 m2 + 16.5 m2 is a great experience for up to thirty-five people. It is a cabin with wood-fired grill and a table around in one of cabin but it could be anything you want it to be in other empty space of cabin! It is great way of adding extra indoor space to your home. You can use this it for any purpose you can think of from bedroom to playhouse all year round. High-quality materials ensure the longevity of a grill house and easy use. 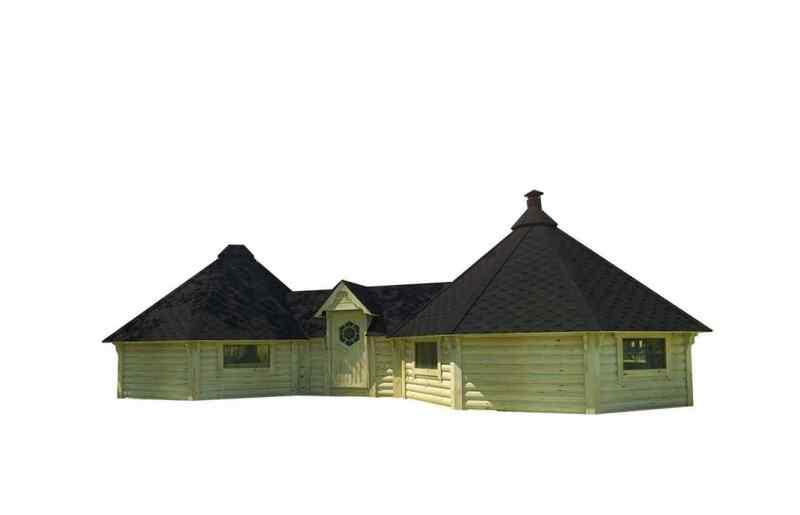 Double grill Cabin walls are made of rounded spruce boards with the dimensions 45 x 145 mm. A roof is covered with bitumen shingles (different colors can be selected), and there are nine double glazed windows, four of which open.